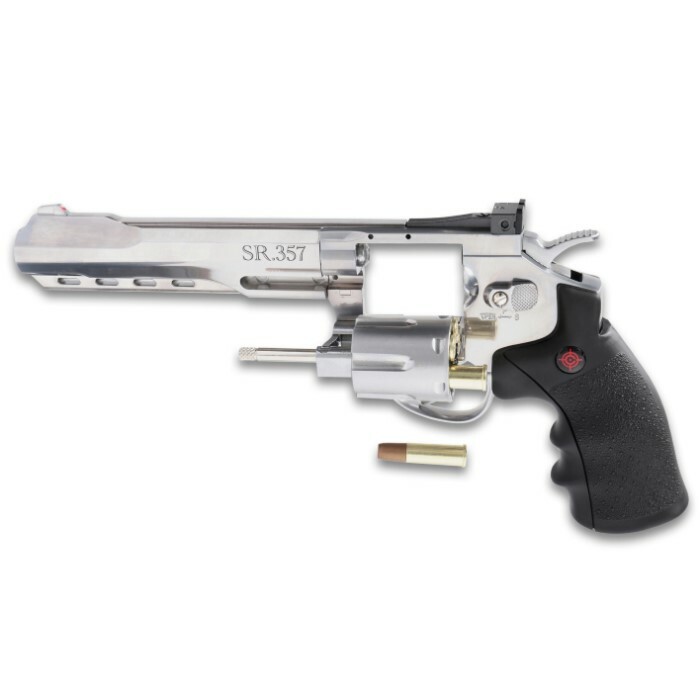 Crosman SR357 Revolver Air Gun - Full Metal Construction, Six-Shot Cylinder, Reusable Cartridges, Adjustable Rear Sight | BUDK.com - Knives & Swords At The Lowest Prices! The Crosman SR357 Revolver Air Gun is an absolute beast in your hand with the look and feel of the real deal! 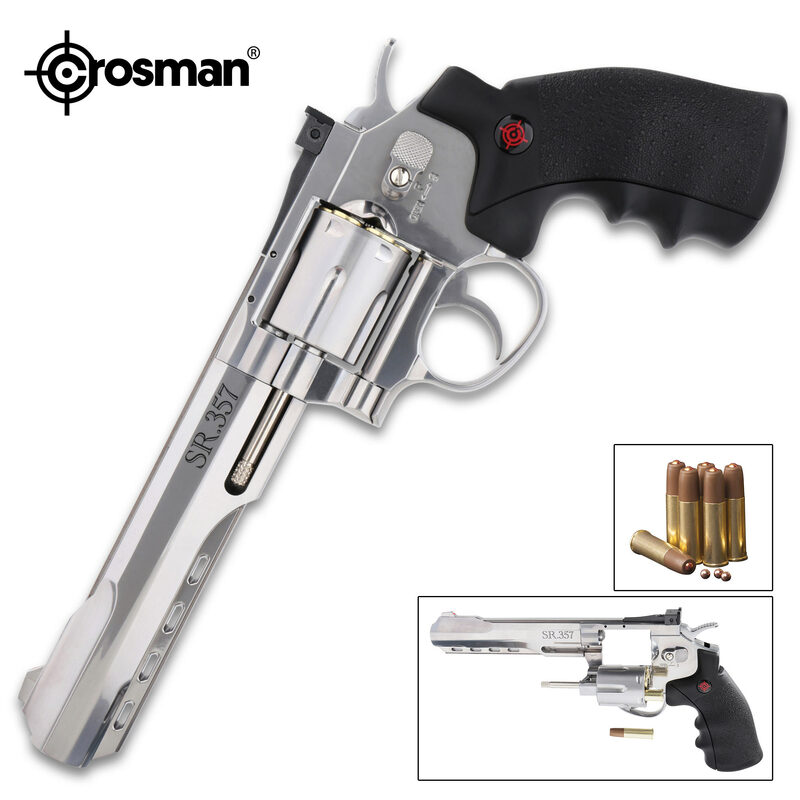 The Crosman SR357 Revolver Air Gun is an absolute beast in your hand with the look and feel of the real deal! The air pistol has a heavy weight, full metal body with a synthetic stock and a 6-shot swing-out cylinder with reusable cartridges. 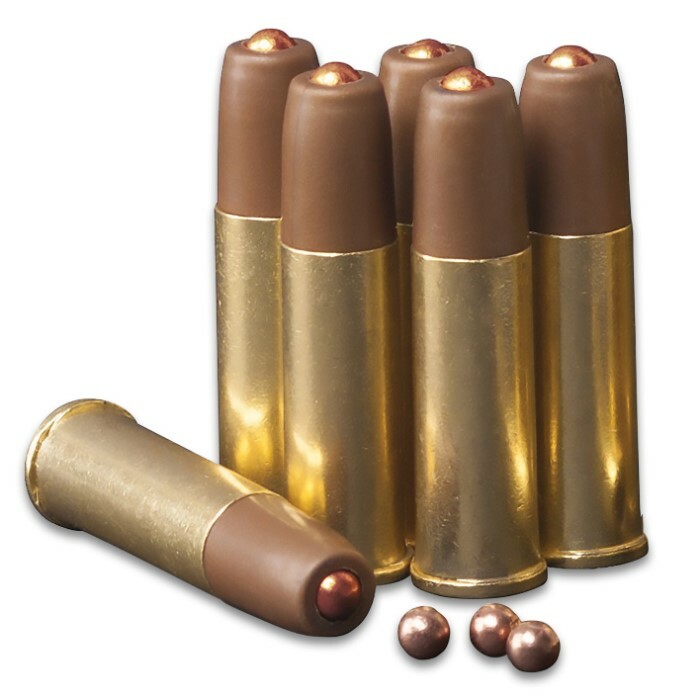 It has a double and single action trigger and will send 4.5mm caliber steel BBs from its smooth bore barrel at up to 450 fps. The 11 1/2” overall airgun is powered by a 12g, CO2 cartridge and the six magazine cartridges hold one BB each. It weighs 2 lbs and features a front fixed blade sight and an adjustable rear sight, plus, a dovetail mounting rail.